As usual I received this book for free from a GoodReads giveaway. Despite that kindness I will give my candid opinions below. To begin, it’s important to understand what this book is exactly. By my math the text works out to be about 10% history, 20% science and 70% biography of the people involved in studying it. As I reader I was disappointed by this split and expected something much more scientifically detailed. While we do get a fair amount of data on the species the focus is less on the bird and more on the people involved with it. Moving on to the standard positive/negative bits, the positive centers around the author’s obvious passion for this animal. Rarely have I seen any book so determined to tell the story of something so specific. Ruth’s writing is abundantly well executed and immaculate in detail. For those who care about this animal as much as she does, this a veritable Bible, a feast of information and ideas. To the negative, the book seems to want to cross genres and be alluring even to those who don’t have a grand passion for birding but this it utterly fails to do. Unless you’re already a fanatic, this book is just too much in the specific. It gently adopts this rather oddball bit of ornithology but doesn’t quite convince me as personally as to why I should care about this one species more than all the others that are threatened by ecological changes. I get the message but even after reading this tome I’m more interested in saving the forests themselves than I am this specific piece of nature’s grand puzzle. 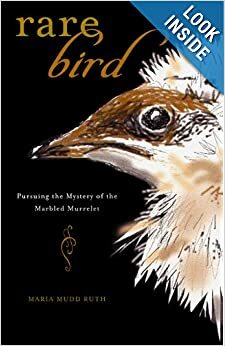 I won’t say that I came away thinking, “so what?” but I did not find myself infected with the author’s obvious frenetic interest in this bird. In summary, a marvelous book to pick up if you’re already thoroughly infected with the bug for bird-watching but this will be a far too heavy a work for the marginally interested outsider. It is wondrous to see such passion from an author but at the same time rather wearying as well. I applaud the work but do not claim it as my particular cup of tea. Click the cover image to view this review on Amazon and vote it helpful if you find it so! Firstly and as usual, I should note that I received this book via a GoodReads giveaway. Despite the kindness of receiving a book for nothing, my candid opinions follow below. I won’t bother to summarize as the book’s description does quite a nice job of that on its own. It may be worth noting that I just picked up the book without the benefit of the summary so I was fairly surprised at the opening few chapters. In almost all ways I have come increasingly to believe that the less you know about a book going in the better off you are. As general note, however, one should know that this is a circumspect style narrative in which we hear from five different narrators. Our protagonist is the eldest son in a family of four and each of the family members (plus a love interest) take it in turns to give their side of the story. This can make for a sometimes fractured but very illuminating style of reading once you figure out who all the names are attached to. It is usually somewhere around this point that I tend to go into a positives/negatives section but for once I’m rather at a loss for anything negative to say. This book deals with a very serious and intimate issue (again, no spoilers) but does so in such a candid and informative way that I found myself rather taken aback. I received this book almost a year ago but didn’t really pay it much attention. I left it moldering on the shelf for a long time and now find myself disappointed that I didn’t bump it to the front of the reading queue long ago. The whole thing just drips with realism and sincerity while asking serious questions about what exactly it means to be male or female in modern society. 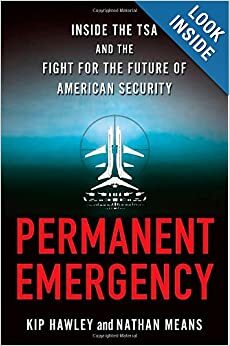 It is uniquely informative and entertaining while bringing to the forefront a very real problem that faces a not insignificant portion of the population. In summary, this is a book to be treasured not only for its narrative flair but also what it has to say about us as a species and is sure to cause endless conversation in groups that read it. 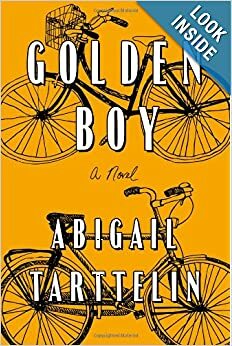 Golden Boy is one of those rare books that makes me wish I had more than five stars to give out. ** Click the book cover image to view the full review on Amazon and as always we appreciate any ‘helpful’ votes! Not bad if you can ignore the science inaccuracies. Click the link to view the review and if you find it helpful, vote it so! Not a bad little read if you take it slowly. Free to the first person who asks. Oh, and vote the review helpful on Amazon if you find it so. An interesting bit of apocalypse fiction; check out my review and vote it helpful if you find it so. Or amusing. Either way, I could use the votes. First and as usual, I received this book from a giveaway of some sort. Unfortunately I’m no longer at all sure which one so I can’t give credit where it’s due. Suffice to say, however, that I didn’t pay for it but will nonetheless give my candid opinions below. Summarizing this novel is approaching impossible because it has only the most tenuous thread of anything real or concrete about it. On the surface, it is the tale of a man and his wife and their life together in the wilderness. 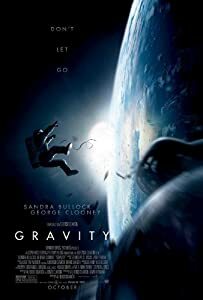 They try to have a child but their first born arrives terribly deformed and the man, tasked with disposing of the malformed product of their love, secretly eats the baby. After the first ten pages which I have just summarized, things go on pretty much in this bizarre manner for the rest of the novel. So to the positive side of things, this book has a terrible and mythological feel to it that fills the reader with something which can be considered to approach awe. Matt Bell pulls no punches and will write just about anything to get his point across. His style is dark, lyrical and deeply satisfying. One reads on and closely for fear that something important might be missed. The story brings to mind ancient religious traditions with turtles piled upon turtles as far as the eye can see or the mind comprehend. This is the mode in which this story unfurls. To the negative side, all this spun cotton of words, this Gordian knot of a narrative does, have a distinct tendency to make your mind wander and it requires the utmost concentration to follow what’s going on and even after utmost attention there’s no guarantee that you actually understand what is going on. But, that is very much the tendency of the mythological. This book will be 1,000 things to 1,000 readers as they all pick their own thread of truth to pull out of the web of story. In summary, this is not a book to be taken lightly. Those seeking fluff or mental ease by the pool should run quickly and desperately in the other direction. That said, if you want a tale as complex as a master’s thesis and with a lot to say about relationships, between humans and the world around them then dig in. Merely be warned that 7 readings will reveal 107 meanings.